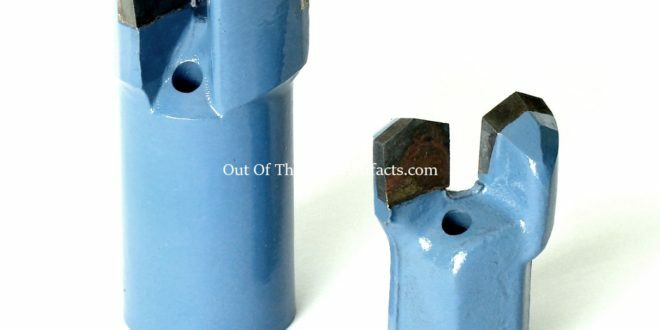 Coal Mining Rock Borer Drill Bits. 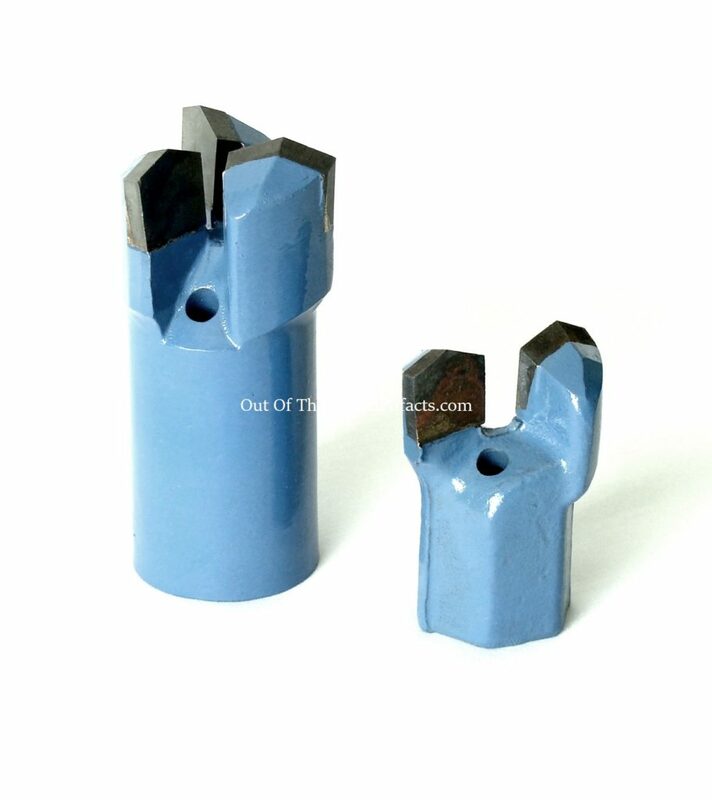 Coal Mining Rock Borer Drill Bits. Made from Iron and Tungsten. Sizes – Large 4″ x 2″ inches. Small 2 1/2″ x 2″ inches. The smaller bit has 2 points for drilling and 2 water infusion holes. The larger one has 3 points with 2 water infusion holes. The both bits have an internal screw thread.